Años Luz performed last weekend at the Mqabba Primary School. Años Luz, Valletta 2018’s premier children’s event for the year, is taking place at Maria Lauretana Parish Centre Hall in Għajnsielem, Gozo, this weekend on Saturday 3rd March at 6pm and Sunday 4th March at 4pm. 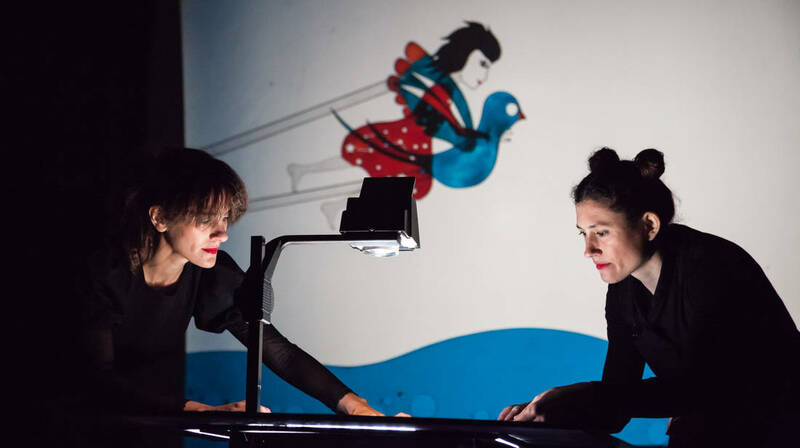 Años Luz is created by Spanish shadow theatre company Luz Micro y Punto, a company which has worked extensively on shadow puppetry to create visually stunning masterpieces. The project was a success when it made its debut locally at the Mqabba Primary last weekend. The story revolves around a composer caught in the process of musing over her next score, which she serendipitously uncovers through a playful creative process. Años Luz also includes a 4-day workshop with artists which is being held at Spazju Kreattiv from the 26th February to the 1st March. This is the first children’s event in Valletta 2018’s programme for Children & Young People. Años Luz is suitable for children over four. €5 tickets for Gozo available from this link.